For you, allergy season may just mean a few sniffles. Or it may be all-out sneezing, hacking, congestion and burning-eyes misery. In either case, it’s good to know when it’s coming and how to get ready. The simple answer is allergy season starts in the spring and continues until the fall. 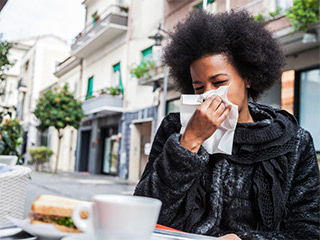 But it’s not all one thing: different allergens (the substances that trigger allergies) appear at different times and pose different challenges to allergy suffers. March and April: As spring begins, tree pollen is the top allergen, followed by weeds and grasses. In some parts of Maryland, it’s not unusual to see cars covered by the itchy stuff. May to July: In May, all the trees, grass and weeds gang up to pump out allergens, making it a bad time for allergy sufferers. This is the start of peak allergy season, which continues until July. July to September: Enter ragweed, a common flowering plant. Ragweed is the leading cause of seasonal allergies, with 75% of all sufferers allergic to it. October: With temperatures falling and plants starting to go dormant, the air starts to clear, bringing an end to outdoor allergy season. Now it’s possible to breathe a sigh of relief without coughing. If you have pets, keep them in the house on high-pollen days. Pollen may stick to their fur and end up in your nose. Change your AC filters regularly and consider getting a HEPA air filter to strain allergens out of the air in your home. Use over-the-counter allergy medicines to relieve symptoms: antihistamines to relieve your itchy nose and sneezing, and decongestants to get rid of your stuffy nose. If your allergy symptoms are severe or continue a long time, your doctor may be able to help or refer you to an allergist. 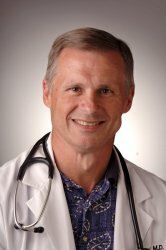 Dr. Padgett is a Maryland Primary Care Physicians, LLC partner and is certified by the American Board of Internal Medicine. He sees patients in the Glen Burnie office.